The FBI has just released its very first mobile app, aimed at helping parents deal with their worst nightmare -- a missing child. Known as Child ID, the application allows users to store their kid's photos and identifying information directly on their handsets, making it easier to provide authorities with vital data whenever the little one disappears. Parents can also use the tool to dial 911 or the National Center for Missing and Exploited Children with the tap of a button, and can instantly e-mail their child's details to law enforcement officials, thanks to a dedicated tab. Of course, some may feel uncomfortable with keeping such personal information stored on a smartphone, but the Bureau insists that none of the data will be collected or shared without authorization -- and they're pretty good at keeping secrets. 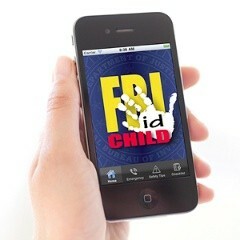 For now, Child ID is available only for iPhone, though the FBI plans to expand it to other mobile devices in the near future. Interested iOS users can download it for themselves, at the iTunes link below.